There is so much to see and do in the Yukon and yet you may not have found the perfect trip quite yet? Let us know what exactly you are looking for and we will do our best to come up with an exciting customized itinerary. Most of our trips can be tweaked to fit your needs, experience level and budget. No matter whether you are a honeymooner, avid outdoors people or a family that wants to experience Yukon’s great wilderness on its own pace. The Nisutlin River flows through the south central Yukon and touches unspoiled wilderness and many wetlands that are populated by a wide variety of water fowl. This river is little travelled and you will enjoy the lack of established camp sites, not like on more popular rivers. There is a good chance of spotting wildlife like wolf, moose and bear and the fishing is promising too. The Nisutlin offers easy paddling and is well suited for beginners. The put-in is at the South Canol Road and the trip ends at the village of Teslin. We will drive from Whitehorse to Lake Laberge where we will pack our gear onto a small motor boat to cross the lake. At the north end we will unload and get our canoes ready to paddle the upper part of the Yukon River to Little Salmon Village. The Yukon River served as an important transportation route during the Klondike Gold Rush ands we will see remnants of these exciting times from more than 100 years ago: abandoned cabins and a derelict paddle wheeler being the most obvious ones. Today the Yukon River is a popular canoeing route and we will likely see other paddlers and occasionally some basic infrastructure at the camp spots. This river offers a great wilderness experience for beginners as well as for advanced paddlers. The tour starts with a two hour drive to Johnson’s Crossing. Here we will put our canoes in the water and the adventure begins. After a few hours on the river we will pitch our tents for the first camping night. At the beginning the Teslin River has little current which helps us getting used to our loaded canoes. Later the current picks up speed. Chances are good to encounter wildlife such as bear, wolf, moose and eagle. Beautiful mountain views surround us as we paddle down the river. Camping in tents and eating by the campfire while under the midnight sun provides a truly unique wilderness experience. Later into the trip the Teslin River merges with the Yukon River. Here we visit the abandoned telegraph post of Hootalinqua. Later on that day you will be picked up by float plane for a scenic flight back to Whitehorse. A float plane brings us to a small unnamed lake above the tree line west of Whitehorse. From here we ascend to an alpine plateau with stunning views. Although there are no trails the hiking is not too challenging and soon you will be on Primrose Mountain, which offers panoramic vistas into the Coast Mountains. This plateau is home to Caribou, sheep and grizzly bears and chances are good to spot some of them from a distance. On the last day we will reach Upper Rose Lake where we will get picked up by a float plane for the flight back to Whitehorse. 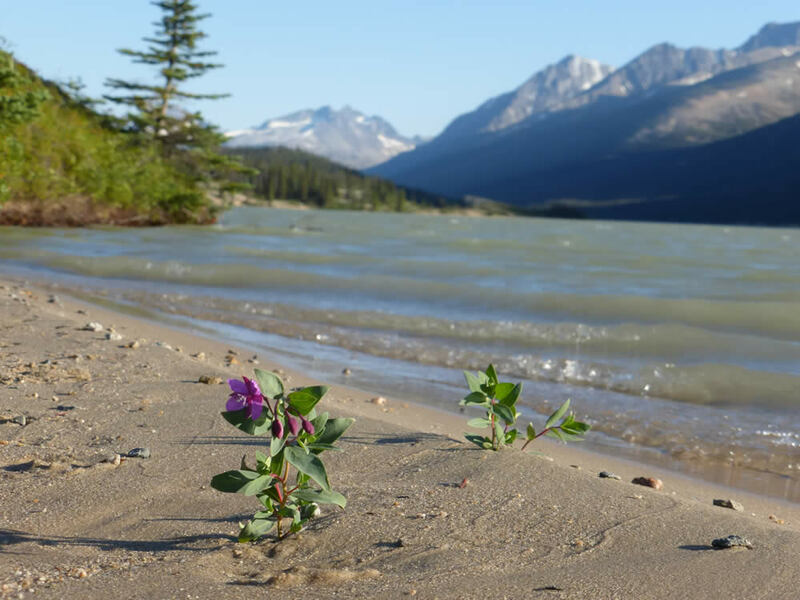 This hiking trip starts with a scenic ride on a floatplane from Whitehorse, Yukon’s capital city, to a glacier fed lake within the Yukon Coast Mountain Range. Away from any signs of civilization we will hike above the tree line over plateaus and gentle passes. Great scenery and wildlife sightings are icons of this trip. The land seems without borders and the photo opportunities are endless. If you would like to create a customized journey or special requests, let us know! We will get back to you shortly. Site created by The Good Kind.